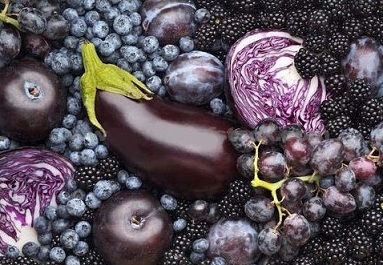 Do you eat enough indigo-colored foods? Grab yourself a handful of berries and read below for all the amazing health and chakra benefits at our new blog. Looki ng to reboot, recharge, and clean out? Treat yourself to 7 days of delicious cleansing meals and much-needed detox self-care with our Fall Into A New You Detox Program. This detox program will spice up your day-to-day repertoire. You’ll learn and establish permanent lifestyle and dietary habits that will leave you feeling more energized, lighter, happier and of course healthier! Learn more here…. Sign up by October 15th to receive a 15% discount on our customized detox program. Get your blenders ready! The detox begins on November 3, 2013. 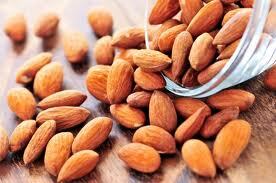 Our superfood spotlight for the day are those beautifully tear-shaped nutrient packed nuts; almonds! A relative of the peach and apricot, this tree nut is native to the Mediterranean and is known to be one of the earliest cultivated tree nuts in history. Depictions of almonds appear in the artwork and scriptures dating as far back as 3,000 BC – and were even found in King Tut’s tomb! In Ayurveda, the sister science to yoga, almonds are regarded for their nutritional value, their ability to increase longevity for the brain and their Vata-pacifying effects. Almonds are an excellent source of vitamin E and vitamin B, both, powerful antioxidants and high in fiber and the essential mono- and polyunsaturated fatty acids that are responsible for lowering LDL (bad) cholesterol. Just a handful of these tiny treats may even reduce your risk of heart disease and diabetes – and with a nutritional profile of merely 160 calories per ounce and 6 grams of high-quality protein, it’s a snack anyone can sneak into their lives on a daily basis. – Instead of using dairy milk in your morning coffee or smoothie substitute it with almond milk. – Love baked goods? Almond flour is a fantastic substitute for gluten-free baked goods, and can pump up the nutritional value of everything from cookies to pie crusts. 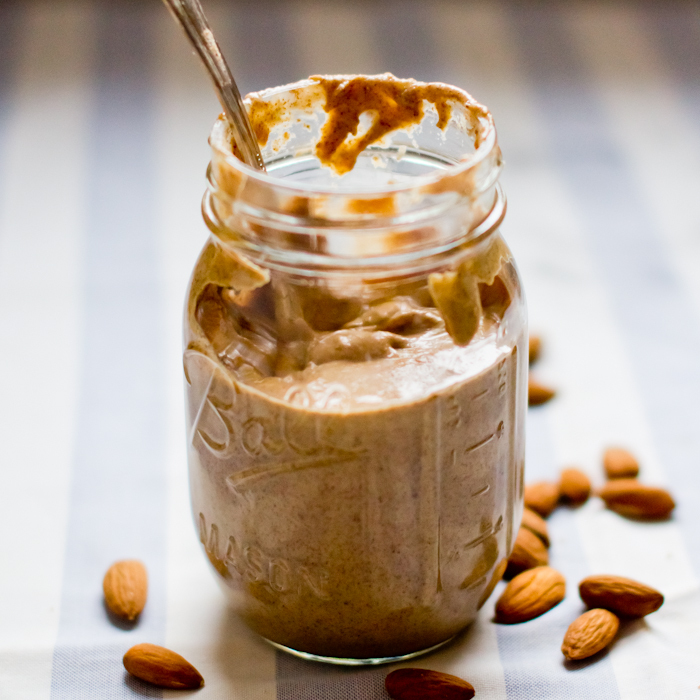 – Not into or allergic to peanuts but miss that childhood PB&J staple? Then go for an almond butter and jelly sandwich, it’s just tasty and has higher nutritional value. 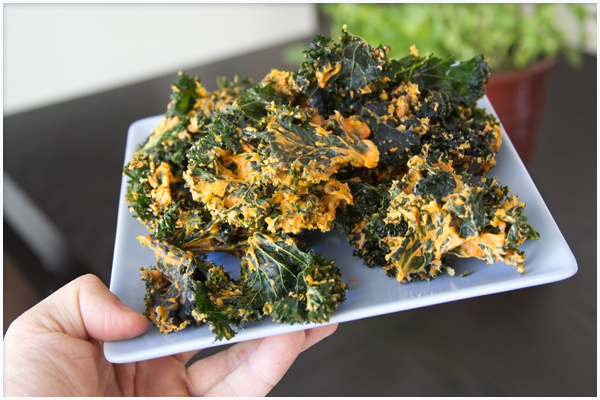 For today’s superfood post we’re talking and eating green! As most of you know this month we’re highlighting the 4th chakra, our heart center and there’s no better way to activate and stimulate the heart space than with a bowl of greens. That’s right it’s no lie when someone says that the best way to someone’s heart is through their stomach! The color of our heart center is green so let’s toast the summer season of bountiful greens and eat for rejuvenation, heart health and of course love! Eating greens boosts your overall energy, reduces stress, neutralizes the body’s pH level, and can also relieve energy blocks to the heart center. 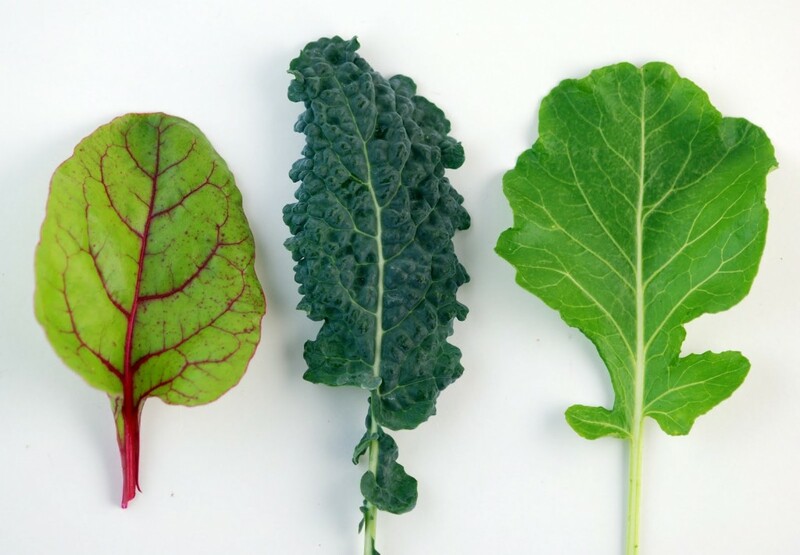 Leafy greens come in many varieties such as spinach, kale, collards, swiss chard, and dandelion to name a few and can easily be incorporated into any meal. Have it alone as a salad, throw a handful in your morning smoothie, juice it, saute it, even bake it. Whatever form you choose to devour these leafy greens you’ll instantly feel their live enzymes, oxygen and chlorophyll melt away stress and blockages leaving you to feel lighter and ready for love! Yes, the idea of using and eating yeast for it’s health benefits certainly sounds a bit bizarre. However, nutritional yeast is quite different than other yeasts. It is grown on beet sugar or molasses, then left to dry and ferment till they reach their flaky consistency. It does not create yeast in the body, therefore, no need to worry that it will lead to yeast infections, and cause Candida. It has no relation to detrimental yeast growth. Nutritional yeast is an excellent source of B-vitamins, particularly B12, which is a vitamin that is missing in many vegan and vegetarian diets. B12 is difficult – but not impossible – to receive on vegetarian diets as long as certain supplements like nutritional yeast are incorporated. It is a great source of all 18 amino acids, protein, folic acid, biotin and other vitamins. It is also rich in 15 minerals including iron, magnesium, phosphorus, zinc, chromium and selenium. 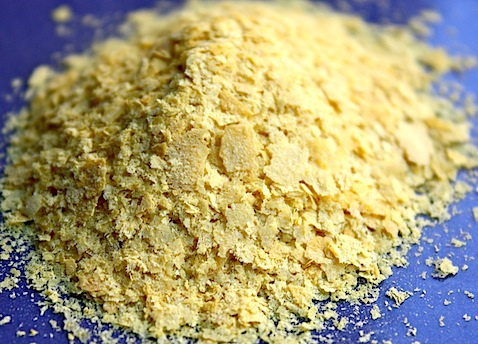 Anyone can benefit from simply adding nutritional yeast to their diet. 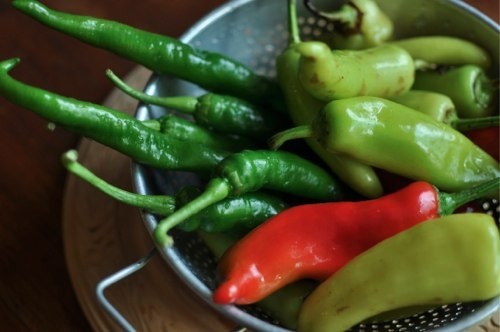 It’s so delicious that it can be sprinkled over soups, salads or even main entrees for flavor. It can be added to any dish where you may traditionally top with cheese – while the yeast doesn’t necessarily taste like a particular cheese it does take on a similar cheesy creaminess when incorporated. Preheat oven to the lowest heat setting, about 180 degress. Line baking sheets with parchment paper. Drain cashews and set aside. Trim stems the from each kale leaf and cut each leaf into chip-size pieces. Add the cashews, red pepper, garlic, soy sauce, oil, and nutritional yeast to a food processor. Scoop the flesh from the lemon and add this to the food processor as well. Blend until smooth. The summer solstice tomorrow marks the onset of summer and the longest day of the year. With longer days, summer breezes and bright sunshine why not celebrate this fabulous day with a few of summer’s favorite superfoods. These berries—one of the few foods that are naturally blue—have very high amounts of antioxidants which combat the damage done by inflammation and help to reduce stress, both physically and mentally. 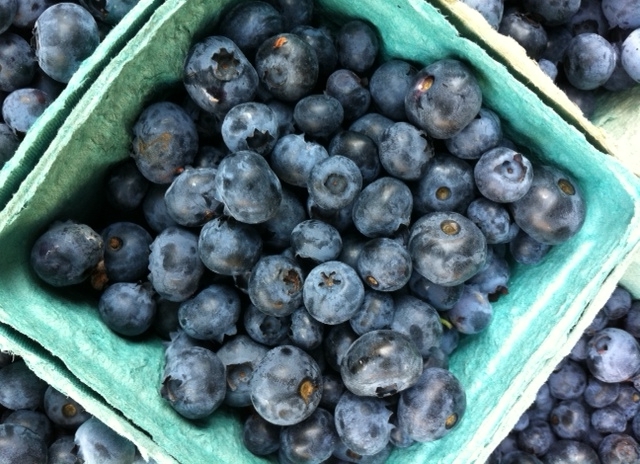 Also packed with vitamin C, vitamin K, fiber and loads of micronutrients, blueberries deliver a nutritional bang for the buck. Studies show that they enhance brain health and can even help improve your memory. They also protect your brain from age-related decline. Lycopene is allegedly a more effective antioxidant than other of its carotenoid cousins which include beta-carotene. Its powerful antioxidant actions are effective in maintaining the strength, thickness and fluidity of cell membranes. 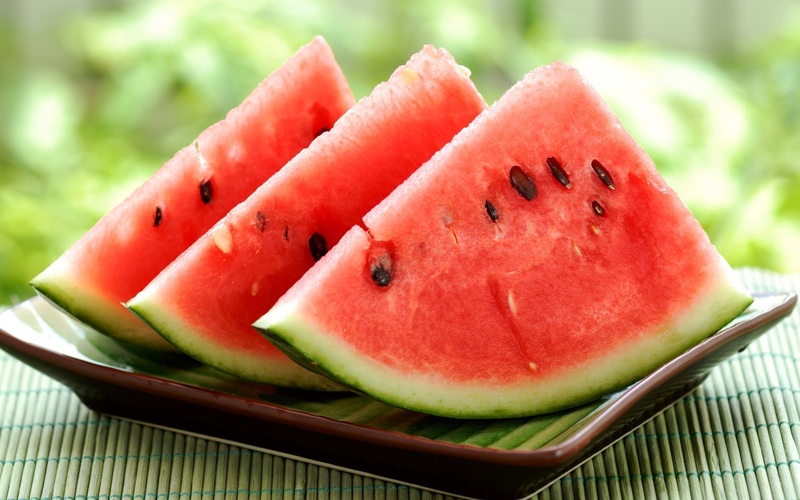 And aside from its ability to refresh us, the lycopene found in watermelon is an effective weapon against prehypertension, a precursor to cardiovascular disease, as well as can help prevent the growth of cancerous cells in our body. Kiwis are extremely rich in vitamin C, folate, potassium, fiber, caratenoids, polyphenols, chlorophyll, glutathione and pectin. Interestingly, kiwis are an excellent source of vitamin E, a nutrient more commonly found in nuts and oils, which can be high in both fat and calories. 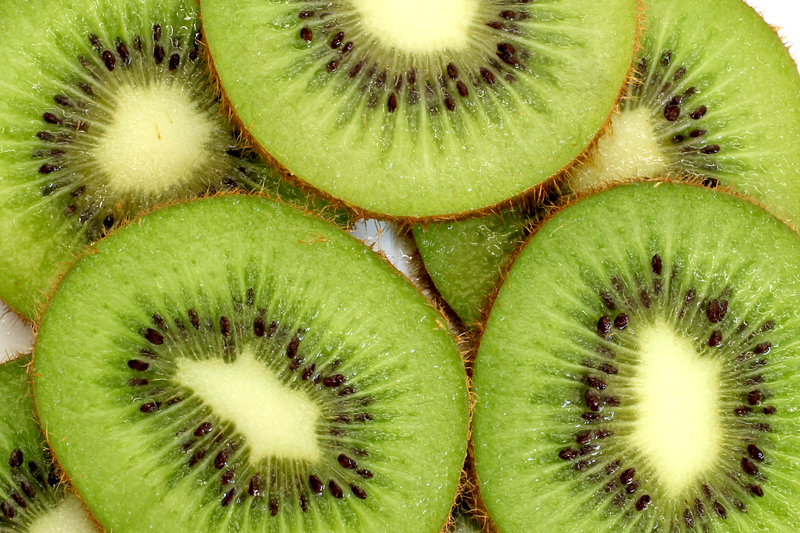 Kiwis are antioxidant superstars, helping to neutralize the free radicals that damage cells, reducing inflammation and the many disease processes connected to inflammation. They also offer more vitamin C per ounce than an equivalent amount in oranges – helping to keep our immune system strong and in fighting stance.